When chatting with tea, the Scented Cups are often ignored. People just enjoy tea soup, without any attention to the tea fragrance. 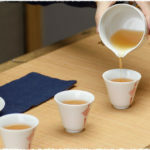 Through in Hanyu Pinyin, the pronunciation of Gongfu tea is exactly the same, known as gōng fu chá, there is still a big difference between what they mean. 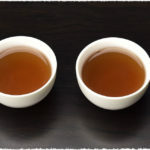 So, is there any difference between Gongfu tea and Kung fu tea? Phoenix Dan Cong Oolong Tea comes from Chaoshan and belongs to Guangdong oolong. The tea bush is Phoenix Shui Xian. 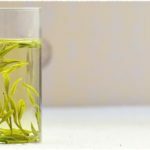 In ancient time, one tea bush can only make one kind of tea, and there are too many names, so people collectively call them Phoenix Dan Cong. Da Hong Pao can be divided into three types: mother tree Da Hong Pao, purebred Da Hong Pao, commodity Da Hong Pao. Then do you know which type your Da Hong Pao belongs to? Wuyi Rock Tea is a general term for the category of Wuyi Oolong tea produced in the north of Fujian province. It belongs to the kind of semi-fermented tea. It is well known for the unique “charm of rock”, a rock aroma which makes you enjoy a rich and mellow taste along with an endless sweet aftertaste. It combines the delicate fragrance of green tea with the mellow taste of black tea. It is regarded as the best category in Oolong tea and it is a representative of China’s top teas. Dongding Oolong Tea belongs to the low-fermented or moderate-fermented tea. Commonly known as Dongding tea, it is a kind of Taiwanese Baozhong Tea and enjoys a high popularity in Taiwan.